Tiger Sugar Milk Tea Spot Is Now In BGC! FYI: Tiger Sugar, A Popular Milk Tea Spot In Taiwan, Is Now In BGC! Their bestseller? Brown Sugar Boba Milk with Cream Mousse! Now that the holiday rush is dying down, it's time to get back to your usual grind (read: drag yourself to work). But you can turn your year around by doing something exciting, even if it's as simple as being more adventurous with food. We suggest starting with Tiger Sugar, which opened its first store in the Philippines on December 21, 2018. 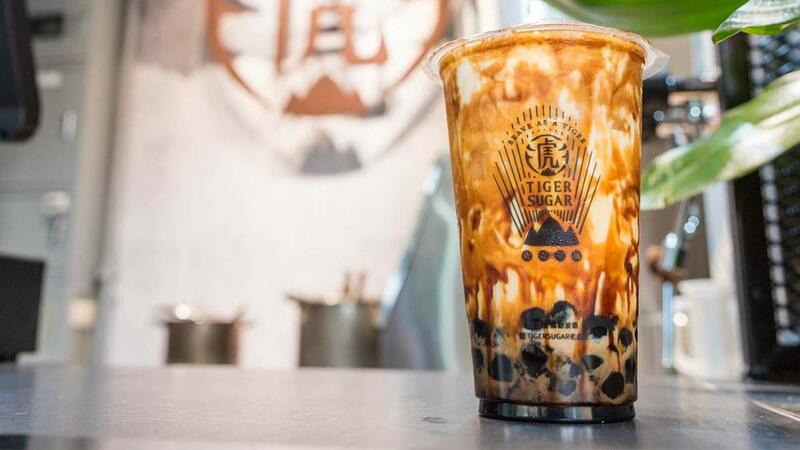 Tiger Sugar set up shop in BGC, and anyone who's ever been to Taiwan is probably familiar with the famous milk tea shop. ICYDK, Tiger Sugar gets its name from their drinks' brown-sugar stripes. Everything on their menu is under P120!